Being a parent entails several responsibilities. One of the biggest one is to help your children understand what is important and what is not. In this regard, teaching them the importance of saving money is essential while ensuring that they don’t become too materialistic. Therefore, you need to be extra careful when you talk about money matters with you children. Here are some interesting tips that will help you teach your children all about saving money! One thing that helps immensely in streamlining expenditure and savings is budget. It is essential for adults and children alike. So, as a first step, you can help your children with budgets. You can start by explaining the importance of having one and then teaching them how to make one. If they learn the habit of making a budget early on in their lives, they can go a long way in the future. Then comes the concept of a wishlist. Your kids need to know that things don’t happen in an instance. It takes time to get what you want. Therefore, if they want something, they can start by making a wishlist and then start saving accordingly to buy what they want. That way, they will feel that they have earned and will value it more. Tracking spending is a must for everyone! So, you can teach them how to track spending and also give them some tools to do so. If not phone apps or computer apps, they can use a simple notebook to track their daily, weekly, monthly and even yearly savings. This will help them have an overview of their spending chart at the end of each day, week, month or year. It is a good practice and will help them a lot in the long run. You must practice what you preach. One lesson for you is that kids mimic. They do as they see and not as you teach. So, you need to set an example for them. You need to be on top of your game with your budget and savings so that your child learns from you. You can also give them some examples from your own life to help them understand the importance of savings. Rewards work better than anything else! So, you can also start a practice of giving rewards to your kids every time they do a good job with their savings. You can even double their savings sometimes so they can have a higher incentive to save. You can even device some interest giving mechanisms like adults get in a savings account. So, you can offer interest rates to your kids on their savings. It can be 10% of the total that they save every month or anything that you think might work well. Debts are bad and the sooner they learn about it, the better it is! You can teach your kids all about debts and what are the situations under which debt is good and when is debtbad. You must also teach your kids how debt can cause a lot of stress and other issues. This can be an essential life lesson for them. 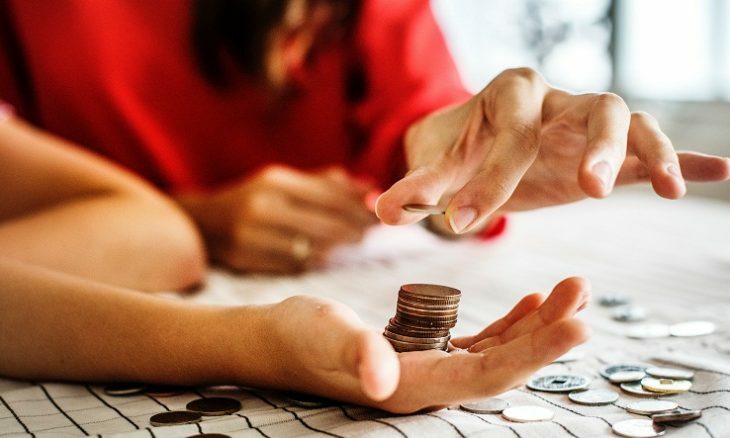 While you are teaching them the importance of savings, you must remember to help them understand the difference between a selfish miser and a person who doesn’t waste money like a brat. This can be done if you help them experience the joy of giving. This can be done at a small level or even at a largerlevel. As the saying goes, charity begins at home! You can ask your child to give away some money for their younger sibling or to someone who might be in need. This way they will learn to share whatever they have and enjoy it. Finally, it is an essential lesson for your child to understand the importance of saving money. If you use these tips and implement them effectively, you and your child can reap immense benefits. This way, they will learn the importance of having savings but will not become materialistic. They will know the joy of giving and hence learn to strike a balance. Such training at an early age helps them go a long way!